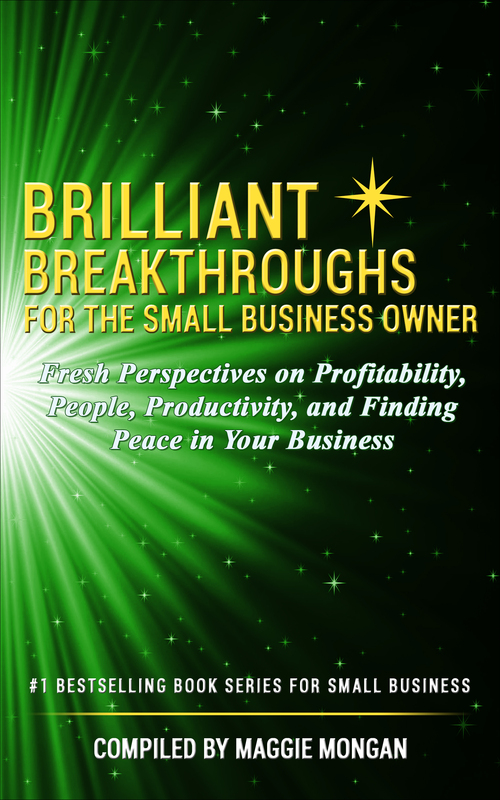 Brilliant Breakthroughs, Inc. was established to support Small Business Owners in learning how to optimize, not maximize, their leadership and business performance. Maggie’s background includes leadership and serial entrepreneurship via leading a non-profit and women’s tech start-up, Certified Youth Ministry, and approximately a decade as the nation’s go-to for manufacturing change-agents. She applies the practical wisdom of her Masters of Management Degree, leadership experience, and psychology background into business models for her and her clients’ businesses. Maggie swiftly helps Small Business Owners simplify their small business success by simplifying strategies and aligning actions to build their profitable and peaceful business. Simplifying your business’s success isn’t easy, but it can be simple. Small business is shrouded with inaccurate and misguiding myths that may lead owners into actions, which may not serve their business’s performance best. Do you know we are living in a unique time when The American Dream is alive and well while we’re simultaneously experiencing America’s Entrepreneurial Epidemic? Learn how to experiment with The 4 Performance Pillars for Small Business SuccessTM. Discover insights, tips, clues, and questions to help you discern how to improve your performance and your small business’s performance. 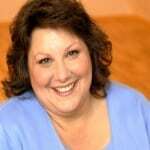 Raised in rural Wisconsin, #1 Bestselling Business Author Maggie Mongan approaches business like many local farmers – practically, proactively, and always looking “Forward”. As a teenager she married a Marine and began her entrepreneurial journey. 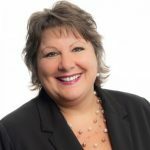 As a Master Business Coach & Trainer, Maggie brings forth her 30+ years of leadership, management, and serial entrepreneurialism to serve Entrepreneurs and the Small Business Sector. She is a trusted guide, training clients on business’s fresh perspectives to Simplify 21st century Small Business Success. You might hear her speak, even globally, on Optimizing Business & Leadership Performance via Profitability, People, Productivity, and Peacefulness. Maggie’s unconventional approach provides her clients unconventional results – she’s definitely cutting edge and is recognized as a Small Business Success Influencer. She owns a top-ranked website because she’s an avid business trainer and blogger with over 1,000 published blogposts. Residing in Wisconsin, Maggie enjoys Dairyland cheese and Harley riding with that Marine. When she isn’t supporting small business success, you can find her mentoring youth, serving American Veterans, or enjoying nature. Regardless, you’ll find Maggie engaging others to live into their possibility. Simplifying your business’s success isn’t easy, but it can be simple. Small business is shrouded with inaccurate and misguiding myths that may lead owners into actions, which may not serve their business’s performance best. Do you know we are living in a unique time when The American Dream is alive and well while we’re simultaneously experiencing America’s Entrepreneurial Epidemic? Learn how to experiment with The 4 Performance Pillars for Small Business SuccessTM. Discover insights, tips, clues, and questions to help you discern how to improve your performance and your small business’s performance. This chapter addresses one of the epic failures impacting Small Businesses in the first quarter of the 21st century – being addicted to busyness. The primary challenge Small Business Owners face is continuously getting snagged by the busyness trap. - Exploring if Technology Supports Success. Small Business Owners are the backbone of the economy. Studying and applying productivity is no longer a luxury. There is no need to struggle. Mastering these best practices is fundamental to moving beyond maximizing success to optimizing it. Continuous self-management is essential to winning big in 21st century small business. It’s your future – choose wisely!